Paul’s themes of experience of God, life as participation, spiritual transformation, and how we are a new creation in Christ will be explored using clips from significant films that can inspire our Lenten journey. Columnist, St. Anthony Messenger Press; author of articles on media literacy and film and spirituality in The Tidings, U.S. Catholic, The Bible Today; Co-author, award-winning series of books Lights, Camera…Faith! 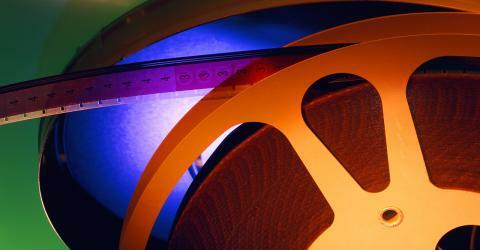 A Movie Lectionary; Frequent speaker at diocesan, national and international events. The Pauline Center for Media Studies is hosting our annual potluck Oscar Party on February 22. If you are in the neighborhood (Culver City, CA) and would like to come, send me an email (rpacatte@paulinemedia.com )and I will send you an Evite (space is limited that’s why it is by Evite only). Here is the EYE ON ENTERTAINMENT column for February, 2009 about the 2008 CineRose Awards. Morris Chestnut plays a self-employed home improvement worker and his wife, played by the newly Oscar-nominated Taraji P. Henson (Queenie in The Curious Case of Benjamin Button), is a high-earning real estate broker. Ten years or so after they marry they have a beautiful home near Los Angeles and no children. They are drifting apart.He spends more time with his friends volunteering for Little League than at home. She only wants to work, reminding him that she is paying the mortgage. He wants children. When they are in a car accident and Clarice (Henson) is seriously injured, her mother moves in. Talk about a shrew – and her daughter is just as bad. Then Dave (Chestnut) falls for Julie, Clarice’s physical therapist who is a single mom. He encourages her son Bryson to play baseball with the league. This is a movie with a message about Christian marriage and the cast is primarily African-American blended with white characters that creates a comfortable feeling of sommunity. It is also a film that explores the sources and changing male identity and role in the family today, especially the Christian family. All in all, I think it is a film about men, especially black men and their women. I was uncomfortable with the way the black women were portrayed – really shrill. And while they blame men for everything bad in their lives, the film seems to blame the women for what is wrong with the men. What is clear is that there is a cycle and while that can be broken, indeed needs to be broken, the marriage/family bond cannot unless people choose to do so. I could have done without the “miracle” shot at the end (the clouds); it was a bit overdone; too literal. Not Easily Broken does offer lots to talk about: family, relationships, racial stereotypes, fidelity in marriage, choosing to grow, parenting, maturity – themes that are valid all the time. It is preachy and direct, but entertaining, too; some parts and lines were pretty funny. It is not exactly Tyler Perry but that’s ok. Does watching a character’s head explode on a television screen provide you with ultimate gratification when you are playing your favourite video game? If so, then the results of a new study may surprise you. The findings — that plot and challenge are more important than death and destruction — contradict the popularly held belief that violence is what makes video games fun. For the rest of the story, click on link above. Change has come: An Artist Celebrates Our American Spirit, Drawings by Kadir Nelson with the Words of Barack Obama (Simon & Schuster, 2009). As I leafed through its few illustrated pages I got an idea. I would buy a copy and then from that moment through Inaguration Day, I would ask everyone I met to sign their name, the city, and date as a way to commemorate this incredible moment in our history: our first African-American president. This is incredibly awesome and moving. The sketches in the book are light and flowing, the line simple. Obama’s words are taken from five of his speeches, from 2004 to Election Day, 2008. They are for any day and all seasons. First I asked the man who sold the book to me to sign it; he did so very willingly. When I got home yesterday I asked the sisters in my community to sign it and they did. Then today, when I went to the photo shop to pick up a video/DVD that the owner had transferred for me, I asked him to sign it. He did. We got to talking about what this moment means, what we believe in, and how change needs to continue. I mentioned my hope and prayer that people will respect life more, seamlessly, because if we respect people regardless of their race, we acknowledge human dignity. This belief and respect is the beginning of a renewed perspective on the value of life and can give us the hope to choose life, always. Hope for life, based on how we honor human dignity, can trickle up, down, and all over, and transform our hearts. Our hope. When I finish collecting signatures (I am traveling to Dayton, OH, for a meeting and there will be people from all over there) I will treasure the book for a while and then give it to one of my young nephews as a memento of the most unique historical day ever in our U.S. history. Of course, when we get our first woman president, I will be able to say the same thing. That will be the next chapter. As I drove home from the photo shop, I thought, “1/6 billionith” of a difference every day. I can do this. Today is Martin Luther King Jr. Day of Service – perfect for 1/6 billionith of difference a day. Then I thought about the Jewish idea of tikkun olam: working together to heal the world. And then Jesus’ words in the Beatitudes as recorded in the Gospels of Matthew (5:3) and Luke (6:20). Blessed are the poor in spirit, the meek, the humble. These are not passive words, but active and full of life; they embody the joyous dynamism of discipleship. The best of every religion. Working together to heal the world, to make a difference, to make the world a better place for each person, unconditionally. Thank you, Matt, for the inspiration. Now for the change that hope brings. 1/6 billionith of difference a day. May the Obama administration be the change we want to see in the world – because that change is us. All of us. Che, a five hour film by Steven Soderbergh, is a challenge to review. On the one hand, it is a work of narrative art wrought by a master. On the other, it makes you feel Che’s existence as a guerrilla rather than give the audience enough information about why he is a guerrilla, to be engaging. This is not a mass audience movie, but a film to be savored – or not. Benicio Del Toro is excellent as the Argentinian medical doctor-turned Marxist revolutionary. I found it helpful to have seen Motorcycle Diaries in 2004 because it showed the influences that led Ernesto “Che” Guevara (1928-1967) to fight for human liberation from government oppression. Though he spent time in the Congo, this time in his life is not covered in Soderbergh’s film – perhaps because he did not leave writings about this period. Che was released as a single film for the requesite week in 2008 to be considered for an Academy Award; Che is now divided into Parts I and II. Part I is based on “Reminiscences of the Cuban Revolutionary War” by Che and Part II is based on Che’s “Bolivian Diary”. The films reflect the sparcity of a journal kept on the run. In both films there is continual comings and goings in the jungle or bush and introductions of soldiers and peasants in an endless line; impossible to keep up with all of them. When information is communicated in the film, it is as though Che is teaching us, patiently, mostly gently and always in ernest, about class struggle and often cruel and violent oppression by governments that keep the poor… poor. It sounds as if the dialogue comes from the journal. He doesn’t mind if people do not accept the revolution; he will persevere. He does not come off as a ruthless revolutionary that history says he was, yet he makes his belief that violence is the only way to overthrown oppression, very clear. He has no trust in talk or the vote; from his experience, these means failed to obtain healthcare, food, a market for goods, and education, for the people. The problem was, when he got to Bolivia, after helping Castro with the revolution in Cuba and serving in key government posts (and fighting for that vague time in the Congo) , there was little if any revolutionary infra-structure waiting for him. Rather than build it up, he seems just to have moved from place to place with his ragtag followers with little food, or support. Some of the guerillas were veterans of the Cuban revolution and some came from other countries. At one point he tells one of the men he will write to Bertrand Russell and Sarte for financial aid. Che had a wife and five children in Cuba but we never meet them and barely see them except through photos and one small moment in Part II. Che was an educated, complex man who felt great empathy for the poor. The Latin American revolutions that began in the 1960’s are very complex, mixing politics, corruption, Marxism, the Church and violence into an volatile mixture. The most lucid stories (to me) about these times and the confrontation between violence and pacifism as a means to resolve conflicts between land reform and government oppression, can be found in Romero (1989; with Raul Julia as the martyred Archbishop Oscar Romero; violence to defend vis-a-vis violence to attack) and Innocent Voices (2004; Voces Inocentes; directed by Luis Mandoki is the story of child soldiers and a young boy’s eventual escape from El Salvador at almost the same time Romero was killed.) It may be difficult to find a copy of Romero, but it would be worth your while. Innocent Voices is available on DVD.